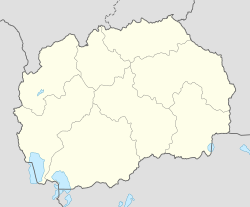 Kanino (Macedonian Cyrillic: Канино) is a village 9.64 kilometres (5.99 mi) away from Bitola, which is the second-largest city in Macedonia. According to the 2002 census, total population is 111. This page was last edited on 22 March 2017, at 02:52 (UTC).